Three technical college presidents shared their focus and priorities at the Coastal and Pee Dee Economic Development Summit hosted by Congressman Tom Rice at Florence-Darlington Technical College’s SIMT building on Wednesday. Congressman Tom Rice opened the Coastal and Pee Dee Economic Development Summit at the Florence-Darlington Technical College SIMT building on Wednesday with the federal economic outlook. Jennifer Fletcher, deputy director of the South Carolina Department of Commerce, gave the state economic outlook at Congressman Tom Rice’s Coastal and Pee Dee Economic Development Summit at the Florence-Darlington Technical College SIMT building on Wednesday. Economic developers, including Clay Young from Dillon County, spoke at Congressman Tom Rice’s Coastal and Pee Dee Economic Development Summit at Florence-Darlington Technical College’s SIMT building on Wednesday. Eight South Carolina cotton industry members have been elected to leadership positions in the National Cotton Council (NCC) for 2019. James McColl of Little Rock and David Owens of Mullins were elected to the local board at the Southern States Annual Membership Meeting of the Little Rock Plant held at Shuler’s Barbecue in Latta on February 5, 2019. The Yellow Jessamine Garden Club met on Tuesday, February 5, 2019 at the home of Larue Bracey at 6:30 p.m.
That S.O.B. Reptile Expo is taking place at South of the Border Convention Center this weekend, March 2 and 3, from 10 a.m.-4 p.m. 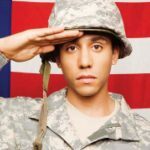 The Latta Rotary Club learned about Help For Veterans, Inc. at their meeting. 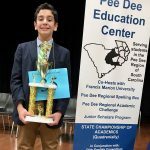 After a second place finish in 2018, seventh-grade Latta Middle School student, Jacob Mijalli, won the 2019 Pee Dee Regional Spelling Bee by correctly spelling “magnanimous” on February 4th.